The Grosvenor 25/25 Series has become one of the most consistently great value events on the poker calendar and it once again lived up to that reputation over the weekend with a record-breaker at The Vic. 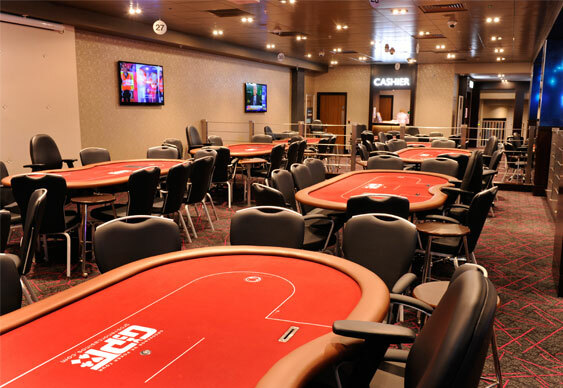 An impressive field of 400 runners took to the tables at the London cardroom with Chehbi Ghassan taking the largest share of the £80,000 prize pool. Ghassan turned his £200 buy-in into a £14,485 score after agreeing a chop when play went six-handed. The numbers weren't quite as large in he northern leg of the tour but the 174 entrants in Bradford created a guarantee-busting £34,800 prize pool. There was another multi-way chop in this one with Stuart Allen eventually taking the title, the trophy and £5,600. The 25/25 Series heads to Blackpool in the North and Brighton in the South. Qualify online at Grosvenor Poker.